Today at Fanshawe Golf Club, Colin Warren, 18, of Highland Country Club claimed the Junior Tyson Tour’s 37th Annual Les Thomas Memorial Tournament. A member of the Oakridge Oaks golf squad, Warren posted a 4-over 74 to accompany his Monday score of 2-over 72 for a two-day total of 146 (+6). Jack Bedard finished four strokes back at 150. Watch for a complete report. For full leaderboard, visit JuniorTysonTour.com. Overall and Junior Boys winner Colin Warren of Highland Country Club. Photo: LondonOntarioGolf.com. 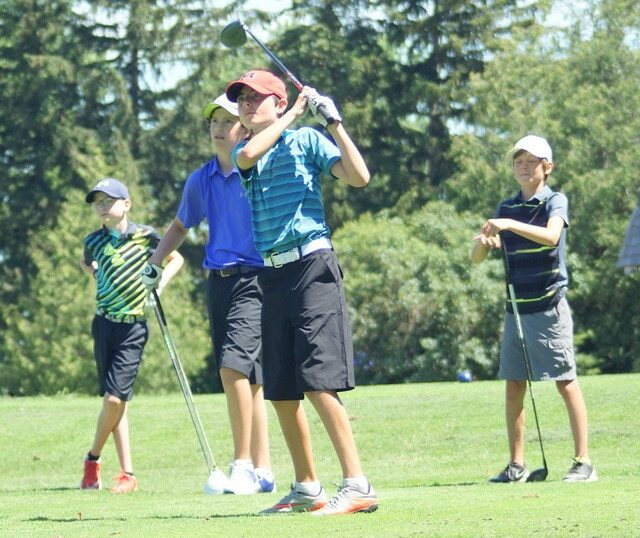 L-R: Jared Coulter, 13, Sunningdale; Ben Secco, 13, West Haven; Gaven White, 13, Dorchester; Logan Hackney, 13, Caradoc Sands. Photo: LondonOntarioGolf.com. 2017 girls division competitors (L-R) MacKenzie Mercer, Jordan Jarrett and winner Jillian Friyia of Highland Country Club. Photo: LondonOntarioGolf.com. CL-R: Junior Boys runner-up Jack Bedard, Bantam Boys winner Brent Schidowka, Junior Boys and overall winner Colin Warren, Juvenile Boys winner Aidan Smith, Girls winner Jillian Friyia. 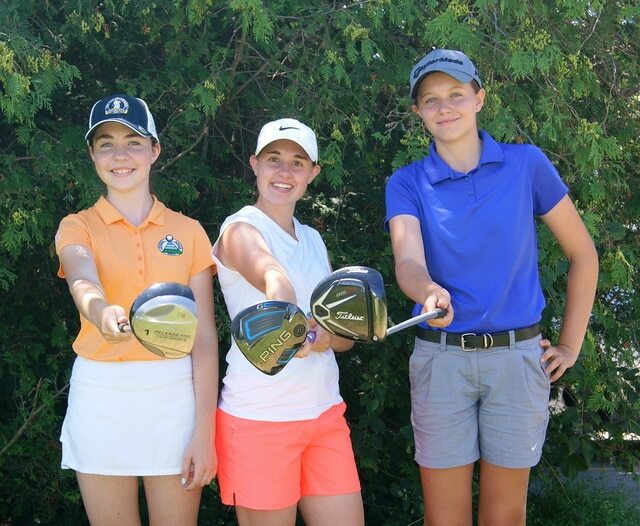 Photo: LondonOntarioGolf.com.